Several years ago, when my daughter was much younger, I told her how Life Savers made sparks in her mouth. She, of course, had to see for herself. I patiently watched and waited while she stood in front of the mirror in a darkened bathroom, and skeptically placed a Wint-O-Green Life Saver into her mouth. She bit into it with cautious optimism. When she saw the spark an expression of shock and amazement crossed her face. I remember the same look on my own face when I went through the ritual years earlier. As adults we can understand that the spark comes from an electrical charge called triboluminescence that’s created when the two main ingredients (wintergreen oil and sugar) are ground together in the chewing process. But when we’re kids, we just think it’s pretty cool. 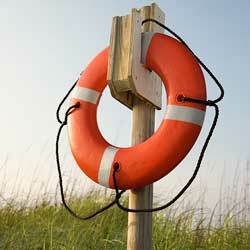 This month marks the 101st anniversary of Life Savers. It all began back in 1912 when Clarence Crane was searching for a sweet treat that would withstand the summer heat better than chocolate. (Living in Texas, we understand what he was thinking.) He punched a hole in the middle just to make them different from other mints on the market. Because they looked like mini life-preservers so he decided to call them Life Savers. 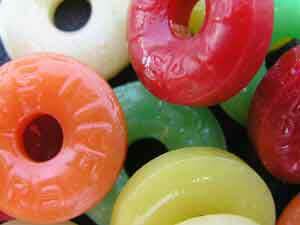 Since its introduction, more than 40 flavors of Life Savers have been created. Did Clarence Make a Bad Business Decision? In Clarence’s defense, hindsight is always 20/20, and he probably could never have guessed the value of Life Savers 101 years later. I’m also guessing that back in 1912, Clarence didn’t understand separating the value of the Trademark from the actual product. Ironically, Mars (current owner of the Life Savers trademark) has been in a trademark battle Nestles because Nestles’ “Polo Mints” (available in the UK) are similar in shape, size, and flavor. Click here to read more about it. I wonder if Clarence is laughing from beyond the grave over that one. So what is a trademark? How is it different from the product? Identifies a single source of origin for goods and services. Distinguishes the owner’s goods and services from those of others. Provides the owner of the mark with the right to prevent others from adopting similar marks likely to cause confusion in the marketplace. A slogan (WHAT WOULD YOU DO FOR A KLONDIKE BAR? for KLONDIKE ice cream). A person’s name (RALPH LAUREN). Want to know more? Ask us about our Brand Protection Mini-Brief, a four page overview of how to create a brand, what to brand, where to register, and how to protect your brand. I’d tell you for a Klondike Bar!